For some, the Grammy Awards are just another awards show. However, it’s the biggest music award in the business. Say what you will, but the Grammys still hold more weight than say an MTV award. Now for all that the Grammy Awards get right in the nominations, there’s still a lot that I have issues with. I probably should’ve done this analysis when the nominations were announced, but hey, now I get to make my predictions (or alternatively, what I WANT to happen). The only album I’ve actually listened to of the bunch is Beauty Behind the Madness, and as much as I like it, I don’t think it’s AOTY. I feel like it’s probably going to end up being 1989, which honestly Taylor Swift annoys me so I’d rather not have it win. “Uptown Funk” deserves the win, hands down. One year later and I’m still not tired of hearing it. That’s saying something. Remember, this category awards the songwriters. I’d like to see Little Big Town win it here because “Girl Crush” is just such a musically bare but well-written track. Although “Thinking Out Loud” sort of falls in the same category, the fact that it became so overplayed is causing me bias. So ideally, “Girl Crush” wins for me. If not, I’d say “See You Again” should win; you can’t help but get a little emotional when you hear it because you know what it stands for. I’m happy to say there’s no “WHO ARE YOU?” in the category. Admittedly, I haven’t listened to Courtney Barnett’s music, but I had heard her name prior to her nomination, so there’s that. Now there’s something about this category this year that makes me feel like it is drastically different from recent years. You look at last year’s nominees and really, you just knew Sam Smith was going to win. In 2014, Macklemore & Ryan Lewis won, but it could have been Ed Sheeran, Kendrick Lamar, or Kacey Musgraves; however, it didn’t really matter to me who won. Same goes with 2013 when Fun won. 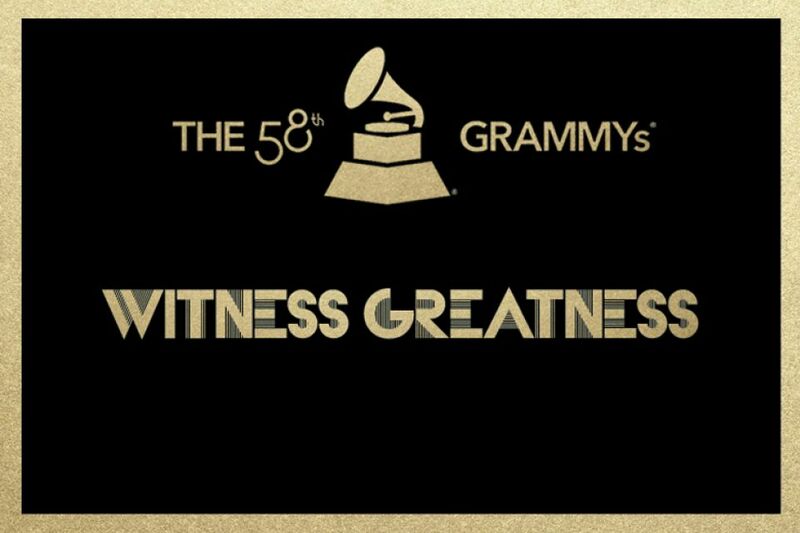 This year, maybe it’s because I have two artists I absolutely love nominated, which means I will be super happy if either James Bay or Tori Kelly win. I’ve been going back and forth about this, but ideally I think I want Tori to win, with James winning for his other categories – that way it spreads the love and recognition! Do you even have to ask? I want Kelly Clarkson to win, duh! Second choice would be The Weeknd. This is the one category where I’m really conflicted. First choice is Maroon 5, obviously, because I’m forever a M5 fan. I love “Sugar” so frickin’ much and it just always instantly puts a smile on my face when I hear it. “Uptown Funk” is second, because like I said before, it’s still a great song to listen to. “See You Again” is my third because again, still a great song but miscategorized – should’ve been in Best Rap/Sung Collaboration. “Ship to Wreck” really has no faults, I just haven’t listened to it enough. And then “Bad Blood” is just whatever. Odds are 1989 takes it (*groan*). Ideally, Piece by Piece wins. I however, wouldn’t be surprised if James Taylor ends up winning because the Grammys can still surprise sometimes. Like SOTY, this awards the songwriters (now that I think of it, I’m surprised there isn’t a Pop category equivalent). I don’t know who Highly Suspect are and I don’t listen to Alabama Shakes, which leaves Elle King, James Bay, and Florence. And as stated above, I want James to win, not that there’s anything wrong with the other two, just preference. All well-deserved nominations, but let’s be real, Hamilton is TOTALLY winning this one. Not to mention, they get to perform during the telecast? Just give it to them already. As much as I love Pitch Perfect 2, I don’t think the soundtrack stacks up as well as the first movie. I say Empire takes it. For the category to say Visual Media, I’ve noticed that there aren’t many nominations from TV. To consider, we have two songs from Fifty Shades of Grey nominated, but nothing from Empire. Not even “You’re So Beautiful”? Really? Lame. All for naught though, because I’m pretty sure “Glory” is going to win, with “See You Again” coming in as a close second. James Bay’s Chaos and the Calm for Best Rock Album! Pentatonix is nominated again in the Best Arrangement category. This time, it’s for “Dance of the Sugar Plum Fairy” from their That’s Christmas to Me album. On the movie side of things, the only movie I’m REALLY looking forward to is Inside Out (June 19). It’s a Pixar movie, featuring a voice cast that includes Amy Poehler and Mindy Kaling! I’m sorry, that’s just a no-brainer. I’m excited for everyone to see Love & Mercy (June 5), a movie about Brian Wilson from The Beach Boys, during two very critical times in his life. It’s a film I saw at last year’s TIFF and just really great. June will see the release of two albums that I’m really looking forward to!. The first is Tori Kelly‘s “Unbreakable Smile” (June 23). After this post, I went and downloaded more of Tori’s previous releases. I’m still in love with her song “Nobody Love” and can’t wait to hear what the rest of the album sounds like. Joy Williams, formerly of The Civil Wars, will be releasing her first solo album “Venus” (June 30), since the band’s break-up (she released 4 albums prior to forming The Civil Wars). Based on her first single, “Woman” (which for the record, is co-written by Matt Morris, a wonderfully talented musician in his own right), Joy’s new sound is a departure from what people may expect (that is, if they’re expecting just The Civil Wars’ sound but solo) but it is entirely refreshing. Me: I’ve heard OF him. Haven’t gotten around to listening to his music. Friend: He’s amazing! He’s playing a show in Toronto tonight. I’ve been looking for tickets but it’s sold out. M: [quickly goes to YouTube, listens to a song] HE’S GOOD! You have to give me notice about these things! F: You’re supposed to be the concert guru! M: Only if I know about them! Basically, our conversation just made me fully realize just how much I’m slacking when it comes to new music. Actually, I’m slacking all together when it comes to music because I missed out on some concert news that have resulted in sold out shows. FAIL. So in my attempt to rectify my recent music situation, I finally checked out the music of two artists I had been hearing so much about: James Bay and Tori Kelly. I’ve quickly become a fan of James Bay, who is yet another British import, though very much different from his contemporaries Ed Sheeran and Sam Smith. He’s got a very raspy/soulful tone that reminds me of James Morrison, but with a slightly more folk rock sound. Tori Kelly is a pop/R&B singer/songwriter, who started out like many people do these days, on YouTube, though she’s more than proven her talent. The first single from her debut album “Nobody Love” puts her sound alongside the likes of Ariana Grande and Selena Gomez, very mainstream pop. Go back a couple years to some of her older songs and they are reminiscent of JoJo and maybe even a little Jessie J.